The 4” Ringworm has earned the reputation as one of the most versatile soft plastic baits every created … deadly for early-season river ‘eyes and saugers or fished near deep weed edges and rocky shorelines for summertime largies and bronzebacks. And now it’s even better! B-Fish-N Tackle listened to angler input and made some subtle changes to improve performance and durability. For starters, B-Fish-N Tackle beefed up the neck of the baits to provide added durability. They also eliminated the “neckdown” of the old design, tweaking existing molds for a bait that’s slightly larger in diameter behind the nose. The result? A bait that resists getting ripped up during violent headshakes, but still has ALL the subtle fish-catching action the bait is famous for! While they were at it, designers also enlarged the tail slightly for more water displacement and a bigger thump! 20+ years and still catching fish.. Probably the single best all around bass bait I have used. Tubes are good, but these ringworms are better in my oplnion. They come in to their own especially for small mouth in my nrck of the woods. Always have a rod rigged with one. I started using ringworms very soon after the were introduced years ago. I am still using them. They work so well. I have caught some of my biggest fish on these. 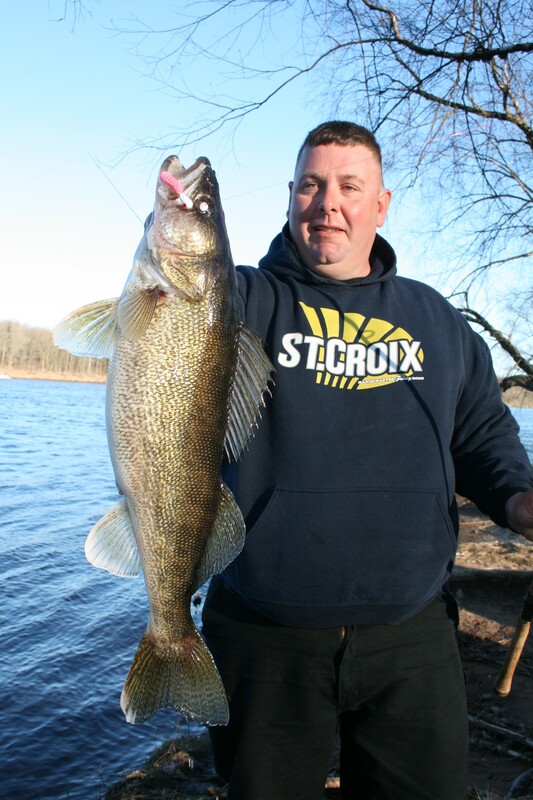 My 10 lb 14 oz walleye and so many other big walleyes and smallmouth. They are my number 1 plastic ! I am impressed with the quality of the bait and the efficiency of shipping it to me. I have caught a couple bass on it, but time will tell of it is effective for bass fishing on Lake Fork. Perfect for cold water when the walleye want something subtle. Sunday was my first time using these. Caught a walleye on my first cast. With many to follow. Great for smallmouth, walleye and pike. I found these plastics to be the best walleye baits for river walleyes this spring. Great product. None better.